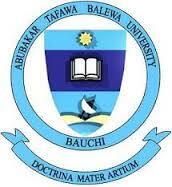 This is to inform all candidates who applied for Direct Entry Admission of ATBU Bauchi for the 2016/2017 Academic Session and choose the institution as First or Second choice are advised to commence registration from 14th Wednesday, September 2016. The following courses have NOT been accredited so therefore candidate who choose any of these courses should hold on till further notice. Candidates should visit ATBU website, locate and click on the 2016/2017 ATBU Screening red link / button at the bottom - left below the slider of the Home Page. This opens the 2016/2017 Screening Procedure Page where you can proceed for login. List of eligible candidates who have met the requirements from among st those who have registered will be displayed on the website in due course. Candidates are expected to frequently visit the website www.atbu.edu.ng for updated information.